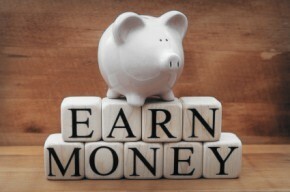 Are you serious about earning extra income? You can always get a part-time job and keep trading time for money. Or, you can look into an MLM business opportunity and start leveraging your time the smart way. Have you yearned to be your own boss? Live life the way you want instead of the way your boss wants you to? The possibilities are endless when you work for yourself and it all starts by researching an MLM business opportunity to find the best match for you. There are so many MLM opportunities out there if would take you forever to research them all. The best way is to understand what you are looking for before you even start. You want to choose the best MLM business opportunity for you. Remember, what works for someone else may not be the best one for you. I put together a list of things to consider before you get started with an MLM business opportunity. Be honest with yourself about what you are and are not willing to do. The most important thing to consider when finding the right MLM business opportunity is your own commitment. Are you ready to commit the time, energy, and financial investment it takes to be successful? That’s right every network marketing business has an upfront and monthly investment. It’s not free and you need to understand that upfront. Do you love the products? You may not think this matter but it does! If you join the best and fastest growing MLM business opportunity and don’t like the products, it won’t matter how good the company is. You have to be passionate and excited about the company products. If you are not then no one that you talk to will be excited about it either. Is the company global? Is the MLM business opportunity and products available in multiple countries or just your country? This is important if you plan to do marketing yourself online. If you use a blog to marketing your business and half the traffic comes from a global market, then maybe a country specific company is not a good idea for you. Do you plan to market online, offline or both? This is an important question to consider. When I searched for an MLM business opportunity, many of them had too many restrictions in place for online Internet marketing. Well, that won’t work for me since I am an online marketer. What is the company marketing system? Every MLM business opportunity has a system and tools that all the distributors can plug into. Find out what that is and make sure it’s something you can do. If the company has a home party plan system but you want to do your business online, that might not be a good match. It can take a day, months or even a year to find the best MLM opportunity for you. Do your due diligence before jumping into anything. Leave a comment and tell us how you went about finding the best MLM business opportunity for you!